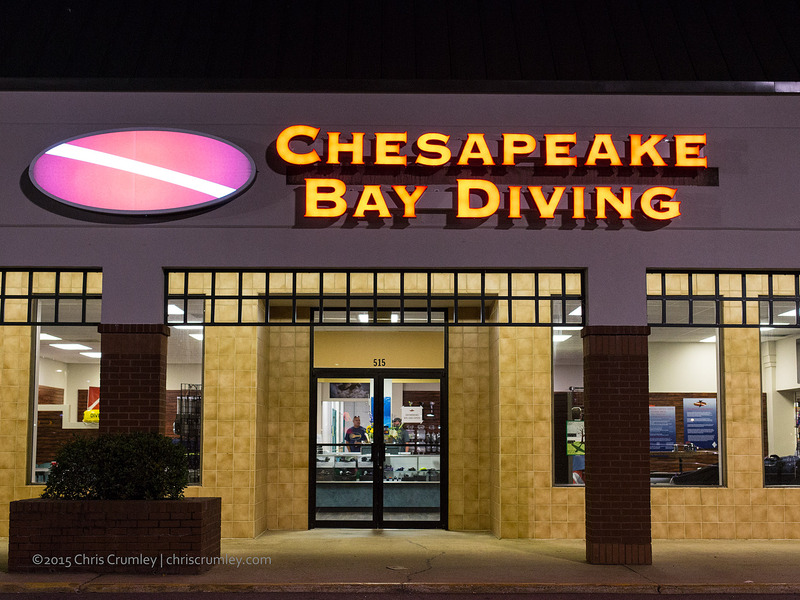 At grand opening last night of Chesapeake Bay Diving - VB, the new dive shop in the Hilltop facility vacated by retiring Dive Quarters. Big crowd with lots of familiar faces. Malena Sharkey gave a brief welcome talk, then lots of mingling. Mermaids Amanda Kaiser, Nicole Carter and Ashley Soltis tested their tails in the 15' deep end of the pool in an after-hours session. Nice to see friendly competitors Lindsey Hillier Hotchkiss and Scott Hotchkiss owners of Lynnhaven Dive Center / LDC attending. Congratulations to Malena, Bob, Mike and John on the new venture.